William Jamieson was the son of Peter and Margaret, one of six children. He was born in 1894 in Wellington. The family moved to Dalefield in 1905 and Bill continued his education at Dalefield School. He left at the age of 15 to become a carpenter, a trade he followed all his life. Bill was working for T.S. Arcus in Carterton when he enlisted in October 1916 but he entered camp on 8 January 1917, receiving the service number 42915. Originally with the 25th Reinforcement, he was soon posted to the 24ths. After training as a gunner at Featherston Camp, Bill finally embarked on the troopship Pakeha on 24 April 1917, arriving in England in late July. More training followed at Chadderton Camp near Manchester before he went to France in November 1917. 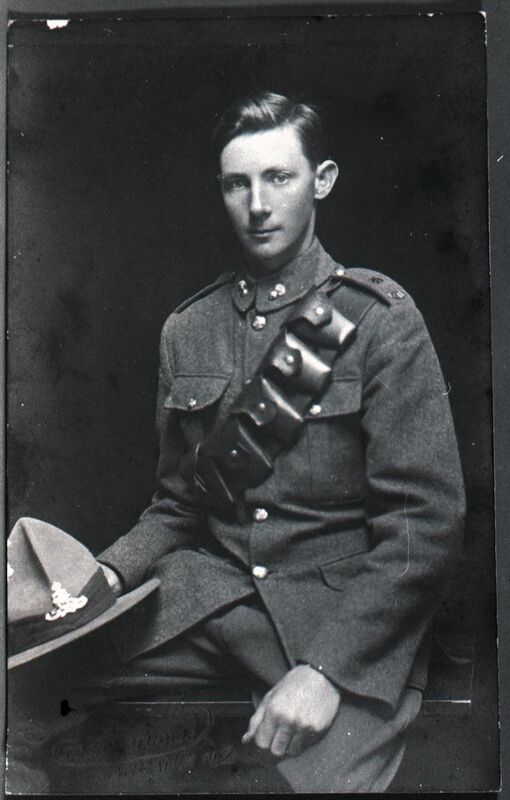 Bill was posted to 3rd Battery of the 1st NZ Artillery Brigade in January 1918. Most of the fighting by the NZ Division in 1918 was in the Somme area although from August the fighting was more mobile. Bill took part in this and was lightly wounded in October which took him out of action for five days. Just after the war ended he became a victim of the influenza epidemic. After three weeks in a London hospital, he was transferred to the N.Z. hospital at Brockenhurst. In January 1919 he was discharged to Codford Camp and in April sailed for New Zealand on the Raranga. Bill resumed work as a carpenter, living again at Dalefield. In later life Bill gained some prominence as one of a reducing band of World War One veterans. When he died in 1994 at the age of 100, he was the last Wairarapa Great War veteran.